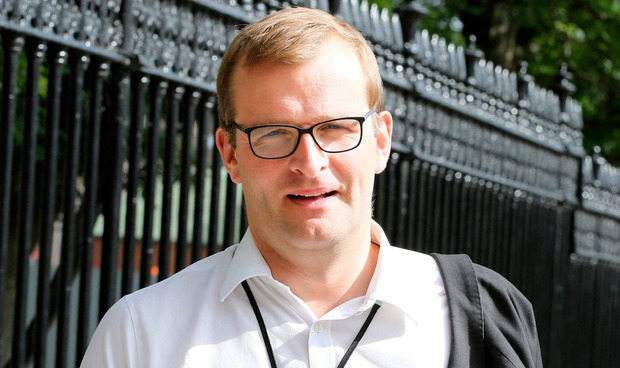 Ministers who complained about not getting enough expenses to cover rising hotel bills have been branded 'whingers' by their colleague John Paul Phelan. The Minister of State with Responsibility for Local Government has hit out at his Fine Gael counterparts, saying he plans to give "a couple of them a boot someplace when I meet them". His comments come on the back of a report in the Irish Independent which revealed a group of junior ministers lobbied for extra expenses to cover hotel costs in Dublin. The group outlined their concerns to Finance Minister Paschal Donohoe last week, arguing that backbench TDs have greater earning power. TDs from outside Dublin are entitled to claim between €25,295 and €34,065 in unvouched travel and accommodation expenses annually - but ministers are not. Instead they must submit mileage claims to their department and cover their own hotel bills. Mr Donohoe was sympathetic to their case but ultimately said he could not change the regime because such a move would create public outrage. Mr Phelan has now described the demands from his junior ministerial colleagues as "horrific stuff" and "pretty appalling". "I think there's a lot of things in the country that need money. "I think people, particularly politicians, should be a little more tuned into the general public." Junior ministers are entitled to a standard TD salary of €94,535 but by voluntarily turning down pay restoration this figure is reduced to close to €91,000. They also get a ministerial payment of €35,319.